With the changing newspaper landscape, photographers are being asked more and more regularly to produce video pieces for the web. Sometimes these take the form of longer, more developed and produced video pieces. More frequently, they are projects that need to be turned around in day. These can pose a challenge. It is hard to take stills and video at the same time. Inevitably, when you’re shooting video, you’ll miss a great opportunity for a still. In contrast, when you’re shooting stills, you’ll miss many great video moments. Here are some videos that I’ve done recently to compliment stories and photos for our web presentation. I’ll start back in October with a story we did on school picture day. For grade school students, picture day is an important ritual. But when does it start? We went to a preschool to see these students have their first picture day. It was a great opportunity to include footage from my GoPro. On Christmas morning, I went to the Loves Park Fire Department where they were gearing up to deliver presents to underprivileged children around town. Again, in addition to video shot on my Canon 1DX, I use footage from my GoPro mounted inside one of the fire engines. A few days later, my coworker and I covered a funeral for a family of four after they were shot and killed in their home. We collaborated on the final video. On New Years Eve, I was sent to the Discovery Center Museum to shoot a video with kids talking about their New Years resolutions. In early January, I was called out of bed to cover what became one of Rockford’s largest fires ever. In between pictures, I shot video to capture the scene. I didn’t have a microphone or any sort of stabilizer with me but the raw video played well on our website. Later in January, I met up with a former local high school football star during his morning workout. He was training to become the full-time kicker for the Jacksonville Jaguars. On the March 1, I went to the Discovery Center Museum to cover their National Pig Day celebration. The cameras (especially the GoPro) struggled to get enough light in the dimly lit room but I was able to cobble together something that our viewers enjoyed. 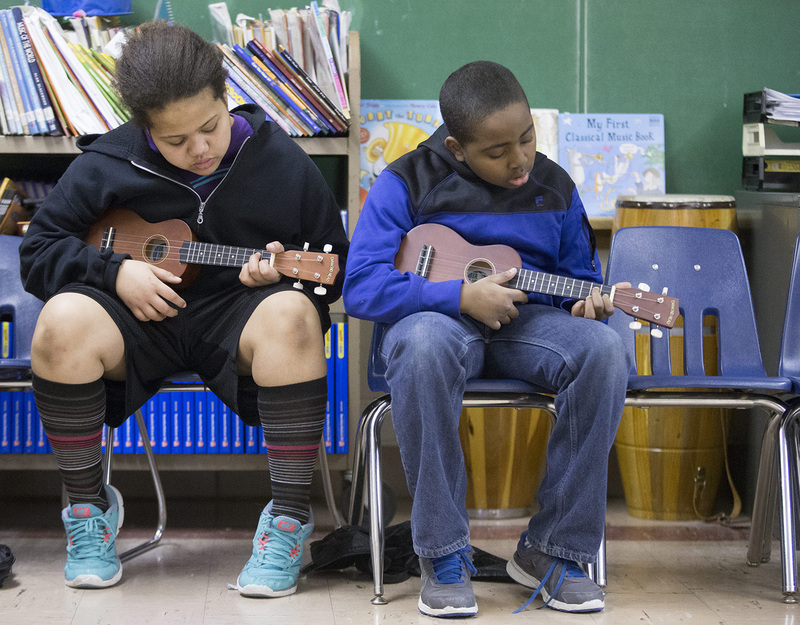 On March 3, I met up with a fifth grade music class at a local elementary school. The teacher was teaching the students how to play the ukulele. I had about 15 minutes to get all of my footage and stills so it was a bit of a challenge to make it as strong as I would have liked. Every one of these videos was shot, edited and posted to the web during a normal work shift. I’m excited that about some of the longer term video projects that I’ve been working on. I don’t want to spoil any surprises so you’ll have to wait and see!